Market Bookings Odds Both teams to Score? First Half Goals 0.5 First Half Goals 1.5 Half Time Half With Most Goals Match Odds Over/Under 0.5 Goals Over/Under 1.5 Goals Over/Under 2.5 goals Over/Under 3.5 Goals Over/Under 4.5 Goals Over/Under 5.5 Goals Over/Under 6.5 Goals Penalty Taken? APOEL and Tottenham Hotspur face at Neo GSP, in a match for this stage of the UEFA Champions League (Group Stage). These two teams have never met before, so this will be the first head‑to‑head between them. The home team plays their second match in Group H, after the (3‑0) loss in their first match for this group stage, against Real Madrid. In their last match, for the 1. Division, they got an away tie against Aris by (0‑0). In the last 10 home matches APOEL has won 5, tied 2 and lost 3. Defensive consistency has been one of their best features, as they have only conceded goals in 2 of the last 7 matches for this competition. 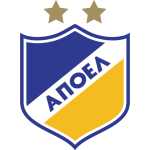 APOEL ended up in a very complicated group, and they have slim to none chances of advancing, but they want a good campaign to be able to stand in the way of their opponents. In the first round, they had a loss away from home against Real Madrid, with only 34% ball possession and almost zero chances created, which was something expected, due to the quality difference. APOEL has a very weak attack, that has 3 consecutive matches without scoring, and the thing that worries them the most is that they haven't been able to create chances. In this match, coach Giorgios Donis should use an offensive strategy, as a draw would be considered a draw against a tough opponent. The away team comes to this 2nd round of Group H after a win in their debut in this group stage, against Borussia Dortmund, by (3‑1). In their last match, for the Premier League, they got an away win against West Ham United by (2‑3). 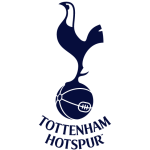 In the last 10 away matches Tottenham Hotspur has won 8 and lost 2. Their offense has scored consistently, as they have scored goals in 8 of the last 10 matches. In 15 matches, they have conceded the first goal 4 times and have only turned the score around in 1. Tottenham is having an excellent start, as they are among the leaders in their league, and have 6 consecutive matches without a loss, and they had a great 3-1 win against Borussia Dortmund in their debut, essential points in a tough group that still has Real Madrid. In their win, they showed their attacking power, with a lot of plays creater, something characteristic from a team that scored in 10 of their last 11 matches. Away from home, they have 5 consecutive wins, with only 3 goals conceded in these matches, showing they are very strong away from home. In this match, they should use the same starting eleven that was used against Dortmund. This should be a very uneven match, as it will be between two teams that are very different, as the home team has only an average squad and the visitors have a world class team. Also, APOEL has a low attacking quality, and they struggle how to reach goals, and will most definitely struggle against Tottenham, that conceded only 3 goals in their last 5 matches, and they have 5 wins in their last 6 away matches. With these stats in mind, we believe Tottenham will dominate, as they have a much superior squad, and they should earn an easy win.